Unfortunately for him, you'd be wrong. He stayed an Oberst. 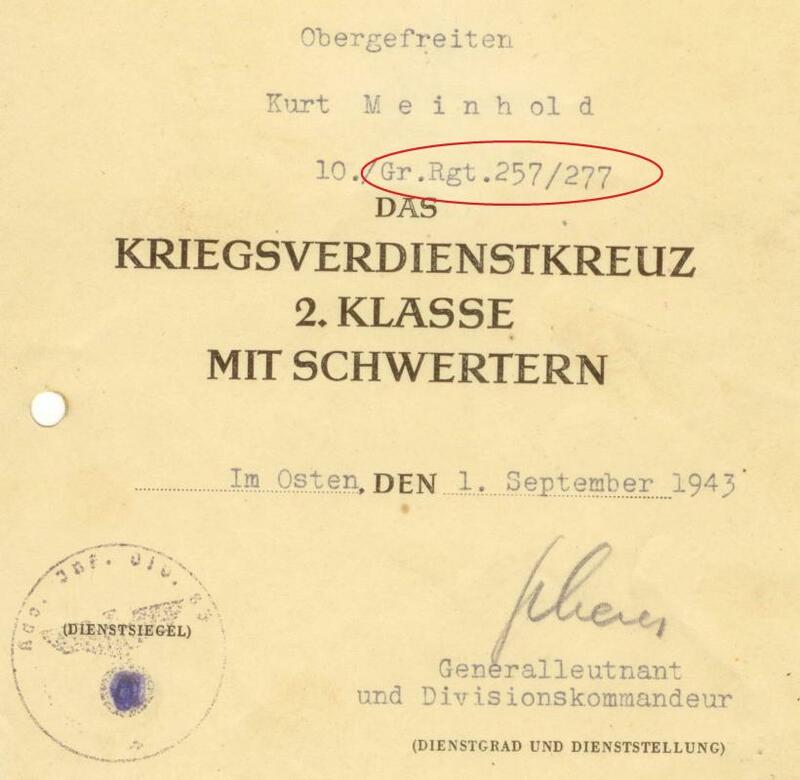 2.11.42-11.11.42 Führer-Reserve OKH, kdrt. z. mil.-Befh. i. Frankr. 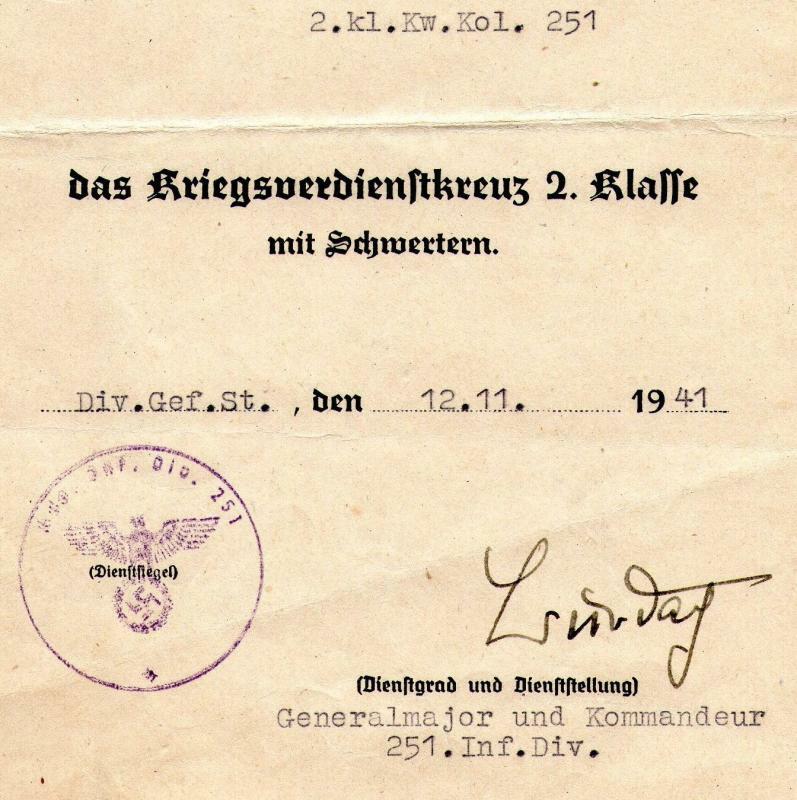 No entries after March 1944 in his personnel file, but Feldkdtr. 669 came under the 19th Army in late 1944 and Riviera to the Rhine mentions a Gruppe Irmisch under LXXXV Armeekorps facing the French 1st Army offensive in the Belfort Gap in October 1944. That is an outstanding amount of information, especially at the speed you've been able to identify him. Thanks alot. 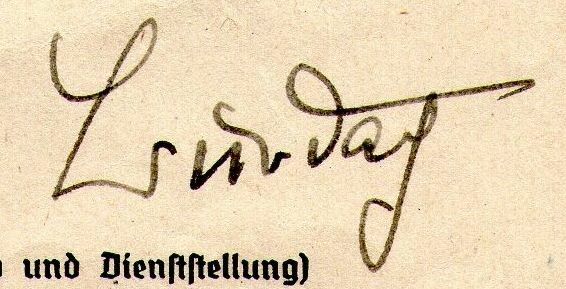 I think that the signature of Erwin Oßwald is facsimile - is it really so? 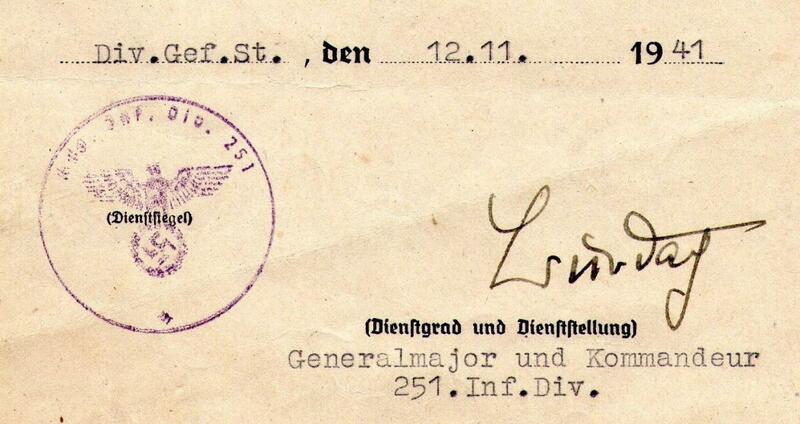 Is signature of oberstleutnant original? maybe you know his name? The signature of Oswald is indeed a facsimile. 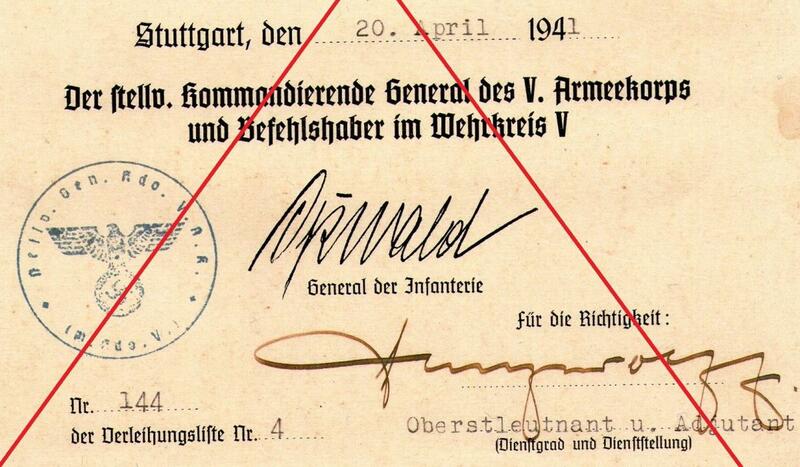 The signature of the Oberstleutnant confirms the facsimile signature as being the authorising authority. With regards to this signature does it say 'Rolf' or 'Roth'? In the 1941 DAL there is an Oberstleutnant Roth listed with a Pz.Jäger unit but I have not been able to find anything definite. Hello: I read it as "Roth". That's great guys. Thanks for the help. 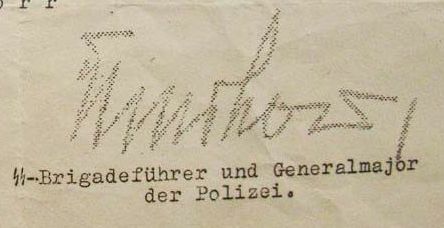 What do you think about this Generalleutnant Alfred Ritter von Hubicki's signature - original or fake? I doubt it, because the printed docs can often be fake. It looks fine. 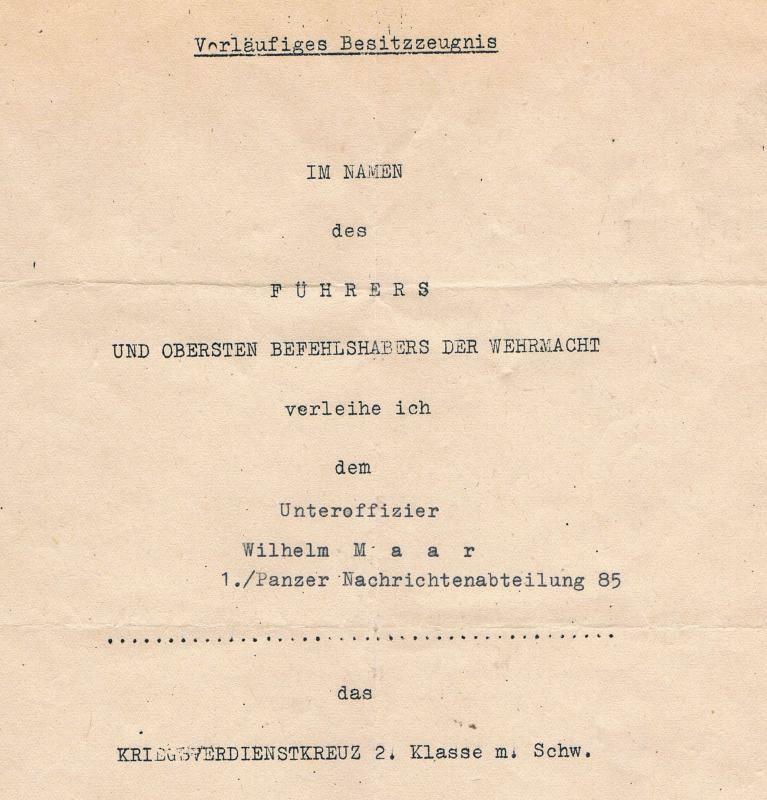 I have an example in my files that also has that little kink in the 'Kommandeur 9. 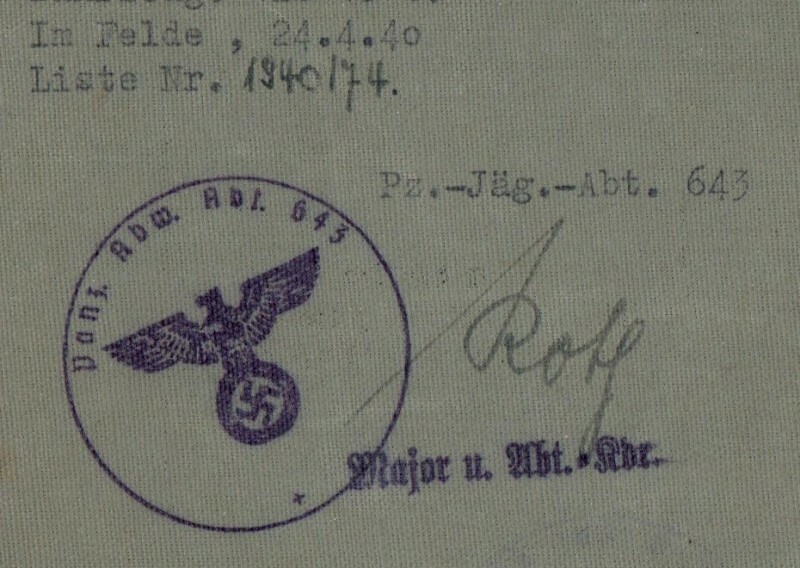 Panzer-Division' stamp. 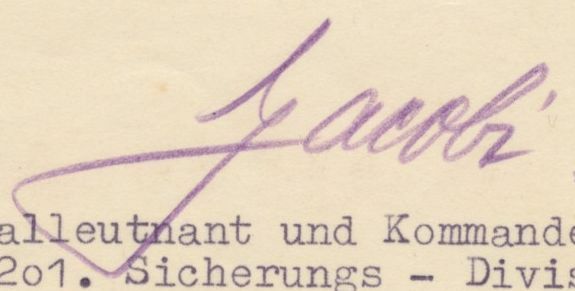 I think this is not signature of Karl Burdach (Divisionskommandeure 08/1941- 03/1943). Believe it or not, that is actually Karl Burdach's signature. 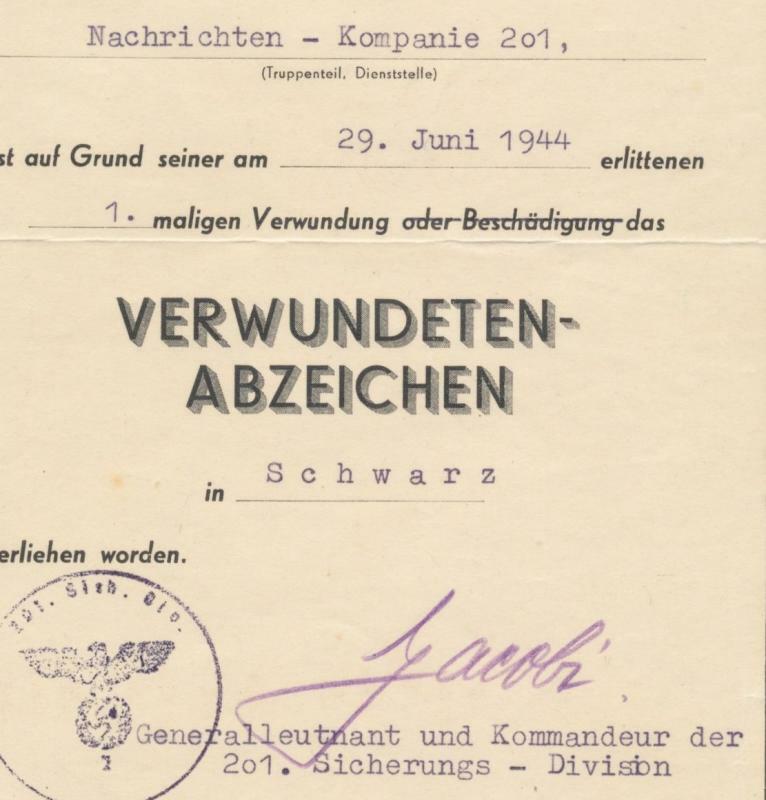 Check the Signature Database for an example from 1944. The 'B' is written like that in a number of signatures, Baade and Walter Behschnitt being others. Is this signature of Scherer, Theodor (Kommandeur der 83. ID) or no? 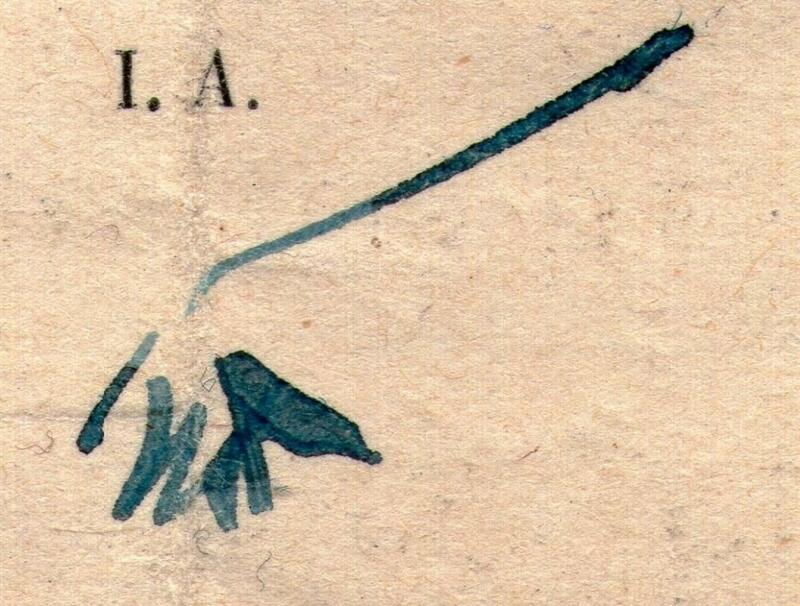 Happy New Year!Is this signature of Scherer, Theodor (Kommandeur der 83. ID) or no? 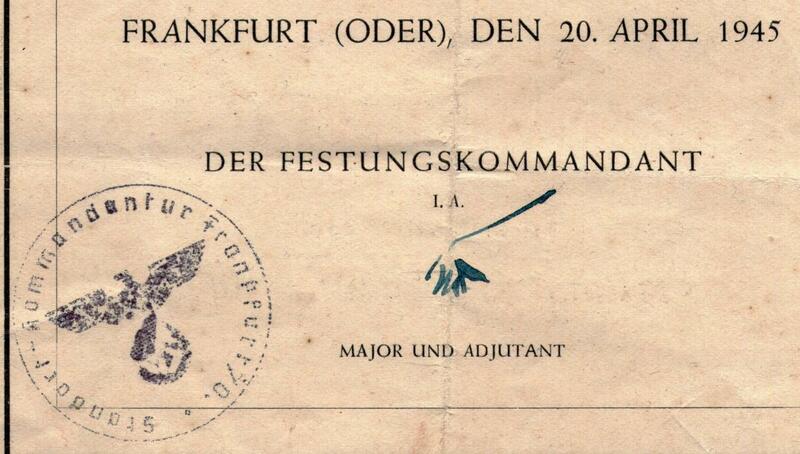 I want to show you the part of very intresting award document which was given in the fortress Frankfurt / Oder. 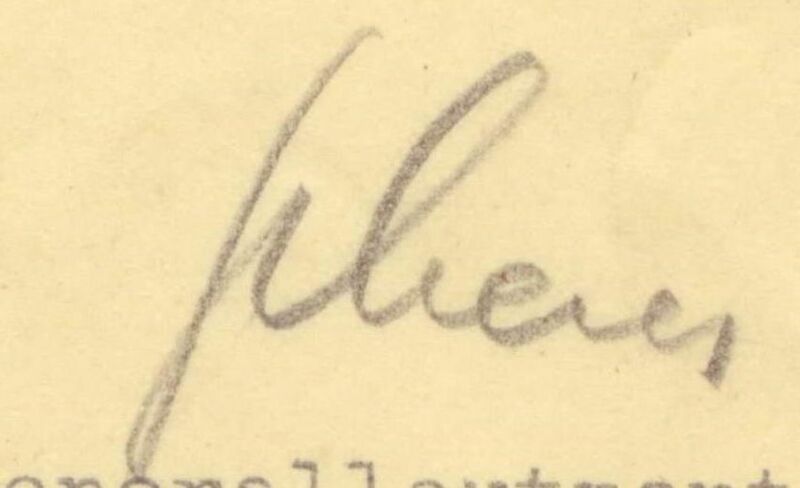 What do you think - is this signature of Biehler, Ernst or unknown major? And also I want to ask about this strange signature. Is this signature on an uneven surface or is this facsimile? I increased the image by 400%. Based on how regular the pattern of dots are, I'd say facsimile. 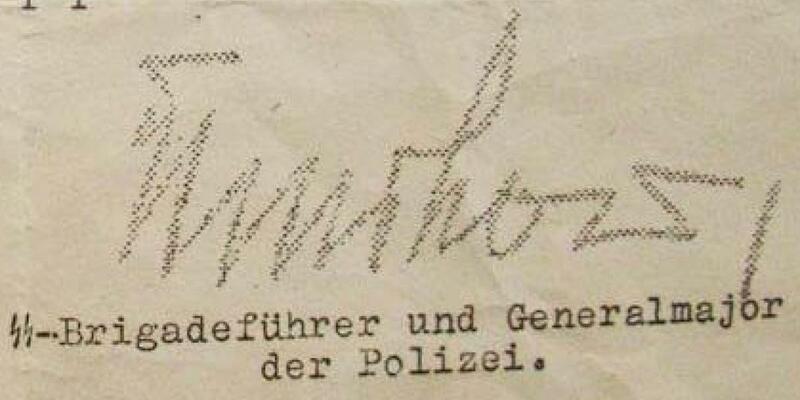 It's definitely not Ernst Biehler as he was a Generalmajor by the time this was signed. I seem to recall seeing this before and I can't remember if the signature was identified or not. 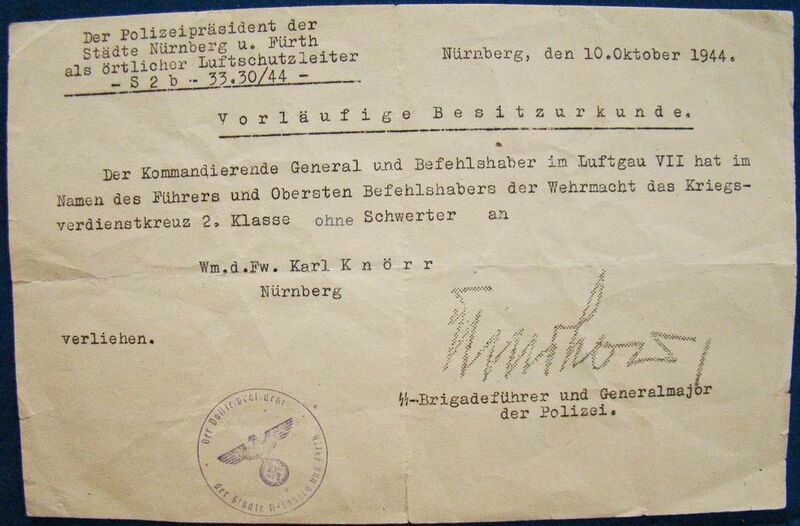 It is signed by whoever was Biehler's Adjutant "I.A." ("im Auftrag", or on behalf of) the Festungskommandant. Is this original signature of JACOBI_ALFRED or no?